That means that all 10 clubs will play 18 matches made up of two against all sides. 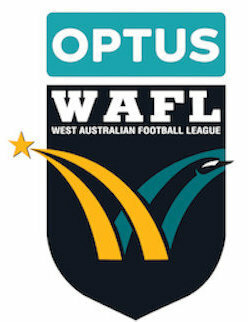 The Eagles will play all their matches at the home venue of their opponents while the other nine WAFL teams will all play one another at home and away over the course of the season. The action all gets underway this Saturday starting with Perth playing West Coast Lathlain's Mineral Resources Park. There are then three matches in the traditional 2.15pm time slot with Peel Thunder facing West Perth at Mandurah's David Grays Arena, Subiaco and East Perth locking horns at Leederville Oval and Claremont hosting East Fremantle at Claremont Oval. The round then concludes at Steel Blue Oval with Swan Districts hosting South Fremantle from 3pm. The 2019 season begins on Saturday with Perth taking on West Coast with the game to be broadcast live on Channel 7 from 12.30pm. The game will be played at Lathlain's Mineral Resources Park which remains the home of the Demons but is also the new home base for the Eagles. Perth had a vastly improved 2018 season having only missed out on a finals appearance by a game and percentage. Retention has been the order of the day over summer for the Demons but there are some new faces as well including Chris Bryan and Guy Langdon while Matthew Rogers has returned from Swan Districts. It's an interesting mix in the Eagles team for their historic first ever match. There are AFL-listed talent in the selection mix at West Coast including Jake Waterman, Jarrod Brander, Will Schofield and Francis Watson. Then there are the WAFL contingent led by Brady Grey, Mitch Curnow, Daniel Acres, Joel Ashman, Alex Coe and Kieran Hug. Then in Mandurah, Peel Thunder and West Perth lock horns at David Grays Arena looking to make a winning start to the new season. Peel missed out on the finals in 2018 on the back of winning the premierships the previous two years and will be looking to bounce back this season. They have a new captain in 2019 in the form of Ben Howlett while he will be joined by former Essendon midfielder Jackson Merrett. There are also some other fresh faces with Peel including Subiaco recruit Matt Bogensperger and Ryan Bennell from Swan Districts. The Thunder will also have some Dockers players trying to fight into the AFL team including Sam Switkowski, Brennan Cox and Ryan Nyhuis. West Perth is coming off a surprise Grand Final appearance in 2018 and has a new coach in 2019 for the first time in a decade with Geoff Valentine replacing Bill Monaghan. The Falcons have lost plenty of quality talent too including Jay van Berlo, Chris Keunen, Luke Meadows and Kody Manning, but have managed to keep most of their core group together. West Perth will have some new faces too including ruckman Troy Yukich from Swan Districts while Sam Rotham and Laine Rasmussen have both returned. It's a battle of the Leederville Oval co-tenants to open the season between Subiaco and East Perth as well with the Lions coming off the 2018 premiership and the Royals back to being a standalone club in 2019. Subiaco had a remarkably dominant season in 2018 going through the league season undefeated before hammering West Perth in the Grand Final. On top of that, the Lions won the reserves and colts premierships too. There have been some big losses at Subiaco since and none more so than coach Jarrad Schofield along with Chris Phelan, Zac Clarke, Brad Stevenson and Adam Cockie. But they recruited well led by signing Harry Marsh from the Sydney Swans while Tim Sutherland now gets the chance to carry the ruck with the departure of Clarke. East Perth made the finals while aligned with West Coast last year, but the Royals are their own standalone side again and will be coached by triple premiership hero Jeremy Barnard. They managed to retain key experienced players Will Maginness, Julian Ameduri, Nathan Blee, Jackson Ramsay, Callum Hart, Kyle Anderson, Tom Gorter, Patrick McGinnity and Sharrod Wellingham to provide a strong core group. The Royals have also added some handy players over summer including Rohan Kerr, Angus Scott, Matthew Johnson and Joel Houghton as they test themselves up against Subiaco to start their new era. There is plenty of noise surrounding both Claremont and East Fremantle coming into the 2019 season for different reasons setting the stage for a tantalising battle at Claremont Oval on Saturday. Claremont were big improvers in 2018 finishing in fourth position and then beating East Perth in an elimination final before losing to West Perth in the first semi-final. There are now big hopes of the Tigers improving further in 2019 and they have a strong looking playing group to help them try and achieve that. The strong core group led by Jye Bolton, Kane Mitchell, Tom Lee, Anton Hamp, Haydn Busher, Ian Richardson and Ryan Lim are back again while Jack Bradshaw and Jake Murphy have both returned along with Declan Mountford. They will be looking to make a winning start to their season against an East Fremantle who won just two games in 2018, but who will be expecting big improvement in 2019 under new coach Bill Monaghan. The Sharks have lost some quality again in the form of George Hampson, Jonathon Marsh and Jamie McNamara, but Monaghan has recruited well led by Kody Manning, Luke Strnadica, Alex Bray and Morgan Davies. With Claremont looking to make an early statement and East Fremantle out to show its improvement it shapes as a terrific contest at Claremont Oval. The last game of the round then takes place at Steel Blue Oval between Swan Districts and South Fremantle with bounce down set for 3pm. Swan Districts started 2018 well enough but ended up finishing second last with just the six wins giving coach Adam Pickering with plenty of work to do coming into 2019. But there's reason for optimism with Swans with the additions of George Hampson, Jesse Glass-McCasker, Leigh Kohlmann, Tony Stephens and Josh Simpson. While Swans still have a good group of experienced players led by Alex Howard, Corey Gault, Matt Riggio, Steven Payne, Tony Notte and Nathan Blakely, their rise in 2019 will likely be dependant on the growth in their young players. South Fremantle are going to be a fascinating story throughout 2019 on the back of reaching the past three preliminary finals and having lost Ryan Cook, Ashton Hams, Cory Dell'Olio, Shane Hockey, Ben Saunders, Blaine Johnson, Jarrod Parry and Matthew Parker. The Bulldogs do welcome back Kade Stewart and still have the likes of Haiden Schloithe, Mason Shaw, Nick Suban, Blayne Wilson, Brock Higgins, Dylan Main, Shaun Bewick and Adam McIntosh to lead from the front. But like Swans, South Fremantle's season could largely depend on how much their next group of players who receive more opportunity can step up.